For its inaugural exhibition, Third Room Projects will present a solo show by Brooklyn-based artist, Basia Goszczynska. Referencing the stage of development that occurs when a child begins to realize how vulnerable and helpless it is, Separation Anxiety is a durational performance and multimedia installation inspired by the apprehension and fear that results from being disconnected from one’s caregiver. Integrating dated video technology in a landscape built from crowdsourced marine debris, the work magnifies the layers of separation that our habits of wastefulness and unsustainable technologies have created between us and nature. Surrounded by washed up children’s toys and other detritus, the artist spends the entirety of her durational performance gathering up microplastics off the artificial beach she finds herself on. Her labor draws attention to the difficulty of removing plastic from the environment and to the fact that we are the only animal capable of doing this tedious work. Basia Goszczynska is a Brooklyn-based artist working in sculpture, installation, performance, and new media. She received her BFA from the School of the Art Institute of Chicago and her MFA from the Mason Gross School of the Arts at Rutgers University. In addition to numerous group shows and film festival screenings, she has presented her work in solo exhibitions at the Mid-Manhattan Public Library and OCAD University. She has received fellowships from the Vermont Studio Center and the Massachusetts Cultural Council, as well as the Ray Stark Film Prize. 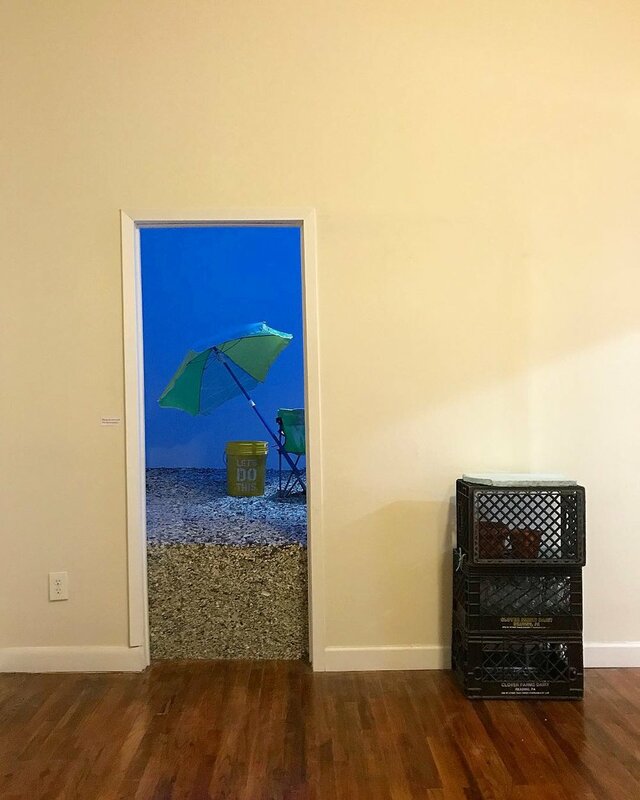 Third Room Projects is an interdisciplinary art space, housed in a Brooklyn brownstone apartment, and wherever else the curators can reach out to build artistic community. Founded by Rachel Chaldu and Djavan Nascimento, the space is designed to give voice to and connect emerging artists in New York City and beyond.